Aldo’s Nightclub is one of the few clubs that has been around for a while, is consistently packed, and has something going on every night of the week. We at Nightlife Fresno have been here many nights. 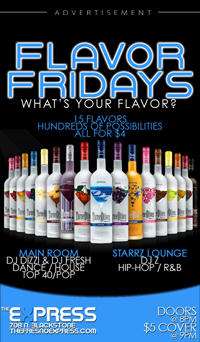 It has a large dance floor on the lower level which is 18+, and the higher level has the bar and is for 21+ only. This is a club where you definitely want to make sure it is your crowd and you go on the right night, since they have different nights for different crowds. Some nights are Hip-Hop, some are Spanish, some are dance, and some might have a combination of the genres. Check our calendar below or go to the link to their website for more information on their specific nights. They also have many special events there for holidays such as New Year's Eve, Mardi gras, etc. These events cost more to get in, but are usually a lot of fun. It also can have a long line so don’t go too late on special nights. Since it is one of the few 18+ clubs, it is usually a younger crowd. There are some events that are only 21+ so if you aren’t 21 yet, make sure you check our calendar to get the event details.